You know how it goes: you’re sitting in your apartment one Saturday afternoon, drinking coffee, when an overwhelming urge to change your appearance comes over you. Should I get a tattoo? you ask yourself. Chop off and donate my hair? Or perhaps you consider purging your closet and shopping for a whole new look. Our advice? Hold up and take a few deep breaths. 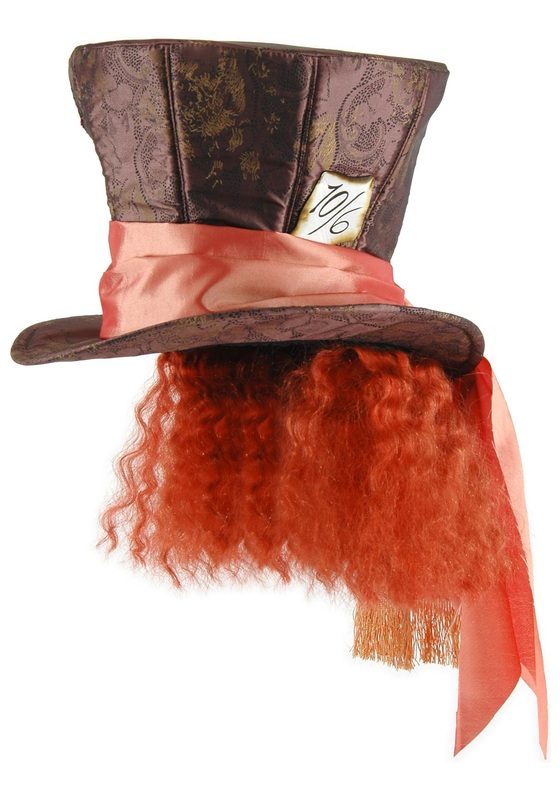 If it’s a noticeable change you seek, then a less...lasting...option, like this Mad Hatter Hat with Hair, may be just your cup of tea! Not only is this top hat bound to have people talking (how often do you see someone wearing a top hat these days? ), but the attached crimped orange hair is bound to make you the center of attention. Since this item is officially licensed, you can also be ahead of the game for your Halloween costume, where you can dance the futterwacken, rant about the jabberwocky, and make hats for the red queen while dressed as the Mad Hatter! Loved the hat. Sturdy and stayed on my head.